The ZF 5HP24 automatic gearbox does not change ratios 4 and 5. – 3D gearbox faulty gearbox. – The gearbox sensors are defective (inlet and outlet speeds, oil pressure and temperature). – The sequence solenoid valves are defective. – Defective brakes or clutches. 1. Carry out a fault reading on the automatic gearbox computer. The presence of two failures is confirmed. 2. Check the oil temperature of the gearbox in real values. It is verified that there are abrupt variations of the information relative to the temperature of the oil (for example, it goes from 116ºC to 70ºC in a few seconds). 3. Check the wiring of the oil temperature probe. Variations of resistance appear by moving the wiring. The temperature of the crankcase of the oil of the box is detected by means of a thermistor welded inside the wiring of the gearbox. NOTE: The temperature of the oil pan of the gearbox serves as a criterion for the control of the clutch of the torque converter. Replace the wiring of the gearbox. Ford is one of the leading motor companies in the world and it has its headquarters in in Dearborn, Michigan. This American multinational was started in 1903 by Henry Ford and since then it has grown to be one of the leading auto companies in the world. The company sells commercial vehicles and automobiles under the Ford brand. It also sells luxury vehicles under the Lincoln brand. The company also owns other auto companies including having shares in other leading auto companies. A significant percentage of vehicles found on the roads today are made by Ford. This means that there are a lot of people who own Ford vehicles in different parts of the world including in Johannesburg. The Ford vehicles are made in a way that they do not experience problems easily and this is the main reason why they are so popular. But just like any other mechanical item they do experience problems from time to time. This can be as a result of naturally wearing out, being involved in minor accidents, needing to upgrade or other such reasons. In such situations it becomes necessary to get spare parts. Buying new Ford spare parts can be very costly where one needs to have a lot of money. But it is much cheaper to purchase used parts from scrap yards in Johannesburg. Most people think that the used parts are usually worn out because they are already used. But the fact is that the Ford spares in Johannesburg are usually as good as new. Most of these spare parts come from new Ford cars which are involved in accidents. When such new cars are involved in accidents there are certain spare parts that can be salvaged. These parts are as good as new and the advantage is that they are usually available at much lower prices. The salvaged parts can even be better than the new ones because they have already been tested and proven to be effective. There different types of used Ford parts in Johannesburg that are available. The spares include body parts such as fenders, windscreens, doors, bumpers, dashboards and tyres. There are also suspension parts such as shocks, upper/lower control arms, tierod ends, ball joints, coil springs and stabiliser links. The electronic parts available include batteries, looms, alternators and ECU’s. There are also engine parts such as crankshafts, pistons, cylinder heads and camshafts. Getting the used Ford spares in Johannesburg is simple and almost every Ford owner can get them in a simple manner. One just needs to complete the part request form which instantly contacts a network of scrap yards. By just filling this form the top scrap yards in Johannesburg are notified that a certain Ford owner is in need of certain used parts. Filling the part request form is simple since one just needs to provide a few basic details. The main benefit of using this method to get the spare parts is that there will be need to contact each and every scrap yard owners. This is because one gets quotes from the top scrap yards therefore getting an opportunity to choose the best quote. As a result, one is able to get quality Ford spare parts in Johannesburg at affordable prices and in a convenient manner. To repair a BMW’s mechanical components, such as brake pads or discs, or electronic devices, such as the navigation system, a trained BMW mechanic is required – after all, nobody knows your BMW’s innovative technology better than expert BMW service mechanics. When repairing a BMW, the service center only used original BMW spare parts, which guarantees the best performance. Geniune BMW spares are made for your BMW – each part is designed to preserve its working qualities for a long time. Repair at a BMW service center means you always get the best advice. Repairing BMW electrical components requires special knowledge and experience. Therefore, you should only entrust the work with the electronics of your BMW to the specialists at a BMW service center – this will ensure the flawless operation of all high-tech, finely tuned electronic devices that transmit various data and information. The repair of electronic components includes your BMW navigation system, power windows and other components. Your BMW service center has extensive experience and the latest equipment necessary for analyzing the causes of electrical faults and eliminating them, and also uses genuine BMW parts. After the repair of electronic and electrical components in the BMW service center, their optimal operation is guaranteed for a long time. The most stringent quality requirements are imposed on BMW body repair, so it is performed by highly qualified BMW service specialists. Whether a small dent or a large body repair – thanks to the most modern technologies of restoration and repair using original BMW parts, your car takes on its original appearance and meets all the safety requirements imposed on BMW cars during crash tests. The perfect combination of innovative technologies and outstanding experience ensures that after car repairs your car is fully operational again and meets all safety requirements. If you need to repair BMW mechanical components, such as repairing a silencer or replacing shock absorbers, contact your BMW service center only. Our specialists know everything about BMW and always carry out repairs in accordance with the highest quality standards. In addition, they install original parts that perfectly interact with all systems of your car. When replacing BMW consumables, such as brake pads and brake discs, or when repairing a clutch, only original BMW parts are used. Only thanks to the work of qualified BMW mechanics can you get real driving pleasure with guaranteed high safety, which you can expect from your BMW – the ideal car drives even better. German Spares offer a wide range of BMW Spares in South Africa in the shortest possible time (delivery 1-3 days). Full information support of clients at all stages of cooperation. You can contact us by phone at one of our branches based in Johannesburg or Pretoria (Gauteng Province), as well as by the hotline, to ask any questions and place an order. Convenient catalogs, allowing for the selection of new or new items in the shortest possible time. The ability to track the status of the order until its shipment to the point of issue. Several forms of payment, including wire transfers. We do everything for your convenience. You can buy everything you need, with minimal time, not only for the repair of your BMW. Our company also works with legal entities, selling products in bulk for service stations, specialty stores, etc. Your customers are guaranteed to be satisfied with the quality and assortment. Standing in front of the BMW M3 Touring E46, one of the most difficult-to-understand questions around the history of the M3 becomes even more enigmatic: Why the hell did M GmbH never have the courage to offer a station wagon version? 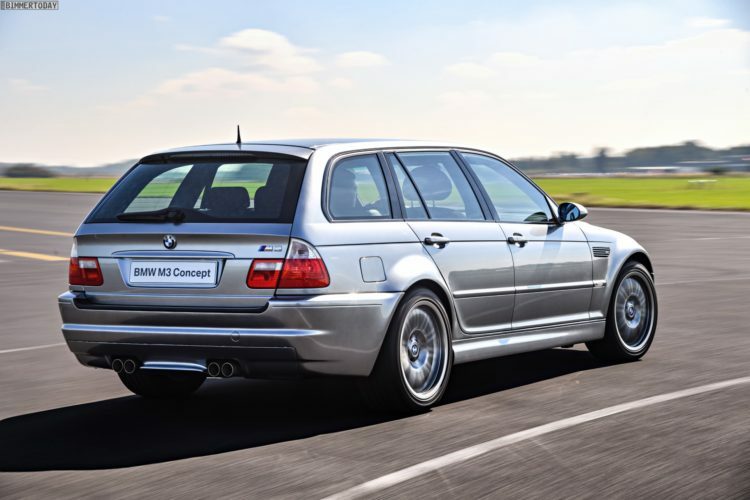 Yes, the arguments are well known and certainly sound: viewed worldwide, the market for performance station wagons is quite manageable and the elaborate rear axle construction of the other M3 variants harmonizes only partially with the desire for the largest possible trunk. And yet: The BMW M3 Touring would not be alone in the distance, after all, the competitors have decided in the same situation still for the development and production of appropriate vehicles. After all, until the development, it also came with the M GmbH, because the BMW M3 Touring is ready to drive in front of us. The unique piece is in a way a feasibility study and should show that the basis of the 3 Series Touring is quite suitable for a conversion to M3. After other rear doors were initially made in prototype construction, which would have allowed a harmonious transition to the much wider M3 wheel arches, a solution was found with the usual 3-door in terms of cost. But even the resulting reduced costs were ultimately not enough to convince the Board of the need for a BMW M3 Touring: If the target group is pointed and the expected sales are small, the financial risk is usually the beating argument. Whether the decision in the case of the BMW M3 Touring E46 was ultimately right or wrong can not be determined today. What is certain is that the power station wagon would have found its fans and enthusiasts: the performance of a sports car and enough space for all the challenges of everyday life under one roof are a package that undoubtedly has its appeal and for many customers significantly larger Erstwagen- Has potential as a coupe or convertible. Reminder: Even a BMW M3 sedan was not offered in the E46 generation. A few years ago, we were able to examine the unicum presented in the ” Secret Garage of the BMW M GmbH “, but now we had much more time for a closer look at the vehicle. Under the hood is the 3.2-liter high-speed straight-six with the internal code S54, this sends 343 hp to the rear wheels and is one of the most powerful engines that were ever installed in a production BMW. In the interior, a special seat cover is used, because between the seat backs made of Alcantara shines an F1 fabric called fabric, which is metallic even when touched and thus clearly different from the usual fabric or leather range. An interesting detail is the painting of the vehicle, because the BMW M3 Touring was the first BMW in Chrome Shadow Metallic – a color that was used in the following years for numerous concept cars of M GmbH and has lost none of its charm to this day , To achieve the special effect, the cars are first painted in high-gloss black and then in bright silver. All contours of the body are so particularly good effect and can be clearly seen especially in the garish exhibition light. 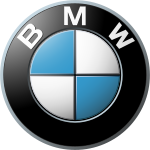 BMW AKA “Bavarian Motor Works” surely belongs to the greatest known automobile retailers in the world also it most likely will continue this way for years and years except if beings interfere with our world. A good deal has already been claimed relating to BMW motor vehicles up to now, quite a few content articles created within honor for this brand and then there is word-of-mouth stuff that the majority of people go spreading about within vast awe of these cars. I should confess, such a reputation causes it to be challenging to publish a solitary paragraph with this corporation with out a couple of sentences not looking like the countless individuals published by various other writers before. If right now 25% of the planet human population possesses a BMW, the remainder three-quarter dream about possessing one. These particular cars are known for their style, elegance, technological innovation and also luxury. A few automotive corporations on this planet are able to integrate these factors to formulate a auto as sophisticated as a BMW vehicle. Regardless of whether it’s the 5-series, 3-series, 7-Series or perhaps the X-Series models, BMW is a unique classification of its own that’s unrivaled and incontestable. Vehicles under this business are living instances of ground breaking technology along with advanced engineering that’s distinctly BMW. Status is but one essential aspect a BMW automobile stands for. Not many individuals the planet have enough money for a BMW and also this exclusivity may be caused by the retail price part. These kinds of autos are suitable for the wealthy of every community and the pricing demonstrates just that. A brand new BMW can easily give your bank balance a hard knock and even after acquiring this auto, possessing it for years is an additional sword in the wallet. Unless you pull hefty pay-checks at the end of the month, this auto will not be for you. You’ll find nevertheless, alternate options by means of second-hand BMW cars available for purchase as well as 2nd hand BMW spares only to make this bit of German innovation a little very affordable for the common man. Actually, spending on pre-owned BMW parts is a reasonably thrifty nonetheless effective option even if you possess surplus moolah to spend. A bit of clever saving in no way causes harm to anybody. For those who have no idea, second-hand automobile spare parts are Manufacturer parts and then in this situation genuinely produced by BMW. The one justification these spares are low-cost is because they are pre-owned spare parts salvaged from another accident damaged vehicle out of the exact corporation probably the exact model as well. Right now to reveal a minor secret, almost all BMW car owners who purchased their vehicle before The year 2005 prefer second hand parts instead of new ones. This is due to, second-hand auto parts are usually much more easily available on their circumstance when for brand spanking new spares, they should order using the business and also wait around for months before the necessary part can be obtained. Once you think about the price difference between new and pre-owned parts, in conjunction with the truth that second-hand spare parts now are typically available over the Internet, you wouldn’t want to think twice ahead of deciding exactly which decision is more economical and also simple. There are several specialist second hand BMW parts internet websites concentrating on supplying pre-owned auto parts online. These particular firms have got deals with work-shops, stores and salvage yards across USA in addition to their network allows effortless access to different types of pre-owned component for any kind of vehicle. © 2019 247 Auto Parts. All Rights Reserved. Proudly Built with Startup WordPress Theme and WordPress.